The next food is probably one of the most versatile. I have used it when cutting and bulking and it doesn’t have a strong flavor so it can be seasoned how you like it. 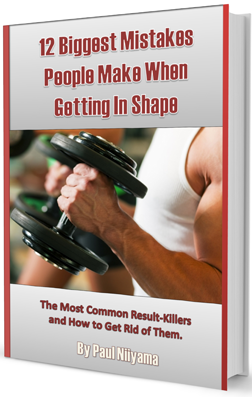 This is my go-to food and recommend it to all my clients no matter what their fitness goal is. Chicken breast is probably my favorite food because of the adaptability it provides. So let me talk about the obvious first. It’s a great high protein food. A 3 ounce serving of cooked boneless skinless chicken breast contains about 27 grams of protein. This compares favorably to the previously discussed lean cuts of beef, salmon and turkey breast. 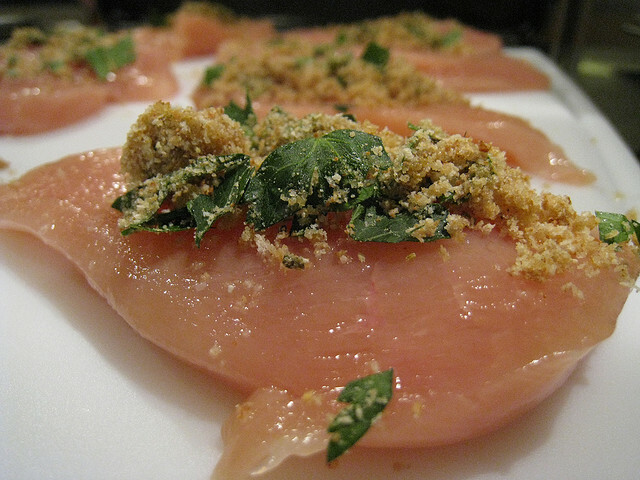 Since chicken breast is also from an animal source, the protein is a complete protein. These things make it an excellent source of protein. The fat content is also very low. Each 3 ounce serving has only 3 grams of fat. While this is not as low as a serving of turkey breast, it is leaner than all cuts of beef, all cuts of pork and fatty fishes like salmon. The saturated fat is also very low which is good for your health. It has less than 1 gram of saturated fat per 3 ounce serving. The high protein and low fat ratio make this a great food for putting on size as well as leaning up. So this is really a personal preference, but for me the taste of chicken breast is a huge positive. The flavor is pretty mild so it blends nicely in whatever you want to cook it with. If you put it in a sauce, it will taste like the sauce. If you grill it, it will taste like whatever you marinate or season it with. I could and have eaten chicken breast every day for lunch, dinner and snacks and not get bored with it because it takes on the outside flavors so well. So the versatility is a big plus. 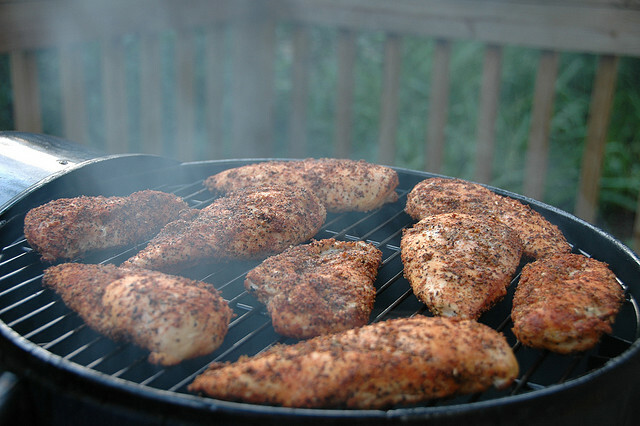 Another huge benefit of chicken breasts is the availability and the costs. As mentioned previously in my turkey breast article, the US produced 49.5 billion pounds of chicken in 2012. That number was more than beef and turkey combined. The good thing about so much being produced is that having such a high supply means the cost is pretty low. I usually buy the chicken breast when it is on sale at the grocery store. The price at my grocery store is $1.99 a pound for a normal sale but once in a while it drops to $0.99 per pound. That is cheaper than pork, beef, turkey and salmon. The low cost gives it a real high nutritional value to cost ratio. So when buying chicken breasts, there are a few different options to choose from. There is then normal variety, which is what I end up getting, and then there is the organic and free range products. So with all the buzz around free range, does it really make a difference when trying to get protein? Well according to the American Dietetic Association, there is not difference in the nutritional value of free range, organic or the normal caged chickens. Free range chickens are supposed to be better though since they can run around in the sun and aren’t cooped up all the time, right. Well the FDA standards say that the chickens must have access to a pasture where they can walk around. It does not say the chickens MUST go outside. They actually just changed their recommendations to say their pasture area should have a roof and walls to protect it from other animals and to protect the chickens from salmonella. To me walls and a roof don’t really mean outside. As of writing this, these recommendations have not been enacted yet, so the farmers can still raise the chickens as they see fit. So unless you are raising the chickens yourself, you really have no way of knowing what their living conditions were. As far as organic chickens, the FDA also had their changed their guidelines to limit outdoor access for the chickens to avoid salmonella. The good this about organic is they are supposed to be free from pesticides or food additives. This seems like a good thing to me, but when trying to get large amounts of protein, the cost is more of a concern. Organic foods usually cost more to produce so they cost more in the store. Personally if there is little difference in the nutritional value, I go with the one that gives me more bang for my buck. When I can get 5 pounds of chicken breast for $5, I think it’s better than getting one pound of chicken for that same price. As far as taste, I personally have not noticed a difference in the taste of organic, free range or normal chicken breasts. Many people though, do say that the free range and organic have a better flavor and “tastes more like chicken” than it’s counterpart. They report that the normal chicken tastes bland compare to the free range and organic varieties. You can try it for yourself to see if you notice a difference. The one downside to chicken breast has to be it’s cholesterol content. Just like with turkey breast, the cholesterol is a bit higher than other meats. A 3 ounce serving of chicken breast contains 72 mg of cholesterol. Not too much in that quantity but if you eat 12 ounces throughout the day that will give you about 288 mg of cholesterol. That gets really close to the 300 mg per day recommendation of the RDA. If you eat more than that, then it could really push your cholesterol higher than it needs to be. So that is it for this article on chicken breast. There are a lot of positives that you get from it with very few negatives. For me chicken breast is my go-to food and it will remain in my diet whether I am cutting or bulking. Thanks for reading and please feel free to comment of email me if you have any questions. You can also subscribe to my email newsletter and get the latest news from our site.